Employment can be seen as a contractual agreement because two parties come to an agreement to fulfill certain requirements. An employee is allowed to work and an employer is expected to pay for that work. An employee's rights under a workers' compensation settlement are also discussed in relation to contracts. contact the workers compensation laywers at the Coye Law Firm to learn how this aspect of the law can be used to your advantage. An employment contract can be expressed or implied. 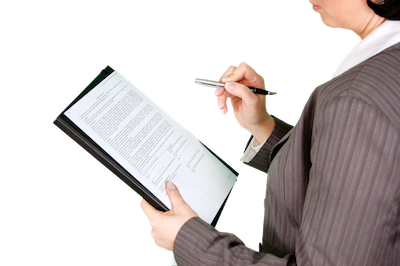 An implied contract may be an oral agreement on the terms of employment. For example, an employer making a statement about your job security is a legally binding statement. However, some states (such as Florida) rarely make an exception for implied contracts in the at-will employment system. This means that an employer may terminate employment without regards to a contract. The system is difficult for people to maneuver when they are faced with pending unemployment. 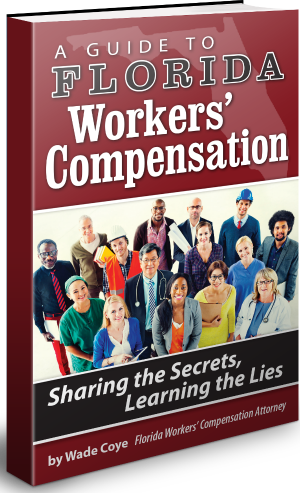 However, in the case of the workers' compensation law, the implied contract may still be held against a third party if they are trying to interfere with a person's job. A third party doesn't include supervisors or co-workers in managerial positions because they are included in the term "employer," but other types of co-workers, business partners of the employer, insurers, or creditors of the employer may have an interest in breaching the terms of your employment. If your job has been affected by an outside source, then you may have a case against them under the law. It is important to know that a workers' compensation claim can waive your right to file suit against these parties if you choose to accept the terms. This overview is no substitute for the experienced legal advice offered by the Coye Law Firm. Consult a member of our workers' compensation attorney team in the event of a workplace accident to make sure that your settlement isn't going to affect the rights you have as an employee.